UK-based Kiroco has won the Best Innovation of The Year award at London’s Wearable Technology Conference and Expo for a range of interactive jewellery that allows a recipient to tap an NFC phone to see text, video and photo messages uploaded by the sender. After launching an abortive crowdfunding campaign last October, the company instead financed the project itself and has now launched its jewellery, making it available to purchase over the web. The jewellery comes in five different ranges — ‘K’, Disc, Crystal Disc, Locket and Orb — which all include a variety of necklaces and bracelets. The buyer uploads their message through a dedicated account page on Kiroco’s website which is accessible via PC, smartphone or tablet. Prices range from £16.50 to £125. 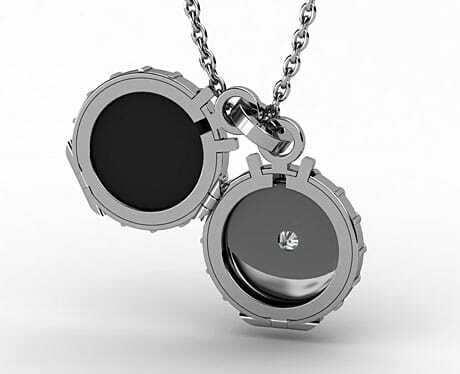 “With the exception of the £16.50 K bracelet which is made of white metal, all the rest of the range is made of sterling silver and Swarovski crystals are used on the Crystal Discs and Orbs, and cubic zirconia in the Lockets,” Kiroco told NFC World. “Winning the award has been an amazing springboard for Kiroco, as having been judged by our peers as being innovative, it allows people to see us as having a truly wearable offering in the ever growing wearable technology arena,” Kiroco’s Nigel Townsend added.